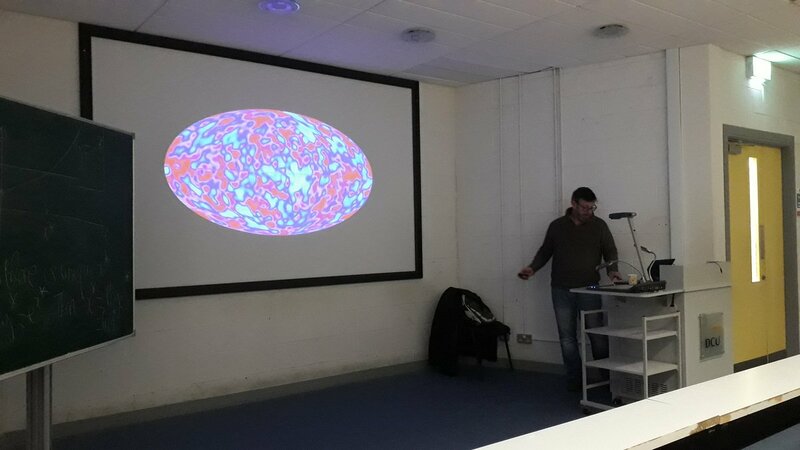 On Wednesday I took a trip from Maynooth into Dublin to give a talk at the Centre for Astrophysics and Relativity at Dublin City University (DCU). I’ve stolen the above picture, which someone took near the start of the talk, from Twitter. My talk was very general, as it was not a specialist cosmology audience, and was similar to the talks I was giving a few years ago about the Axle of Elvis Axis of Evil. If anyone is interested in the slides, here they are. 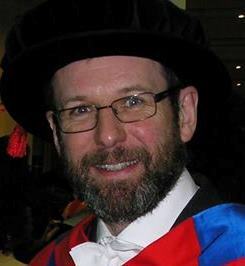 Confusingly, Dublin City University (DCU) consists of the same combination of quarks as University College Dublin (UCD), but I managed to find my way to the correct campus via Drumcondra Railway Station (which is next to historic Croke Park). Anyway, there was quite a big audience and not all of them fell asleep (even though I did go on too long) so by that measure at least the talk was moderately successful. Thanks to everyone there for their hospitality during the afternoon! Incidentally, my talk was in the Lonsdale Building which is right next to the Stoke Building. Both are named in honour of famous Irish-born scientists. physicist George Stokes (who was born in Skreen, in County Sligo, but spent most of his adult life in Cambridge) and crystallographer Kathleen Lonsdale (who was born in Newbridge, County Kildare, but moved to England when she was only five).